The Sudan People’s Liberation Movement in Opposition (SPLM-IO) says the country is behind schedule in carrying out key aspects of the peace agreement signed last year, such as integrating rebel forces into the national army. Now, the rebel group is calling upon Sudan and Uganda to apply pressure on Salva Kiir to increase funding for the peace process. South Sudan’s peace deal has largely brought an end to fighting in the country after five years of civil war, but isolated clashes are still taking place in parts of the country and reports of human rights violations continue to emerge. Fears are growing that the peace process could break down and the country’s leading rebel group is becoming increasingly vocal about the fact key aspects of the agreement are yet to be implemented. 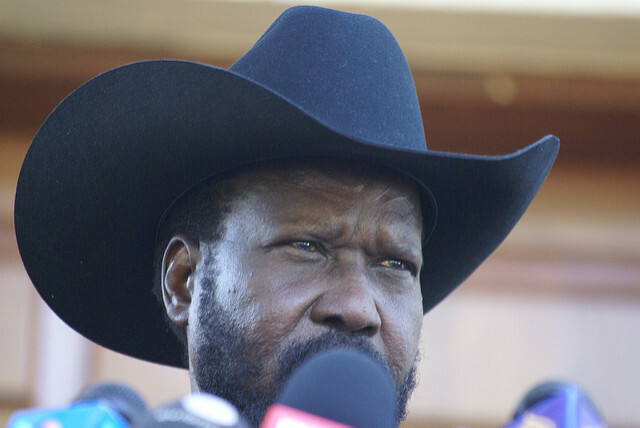 President Salva Kiir has said the government doesn’t have enough funds to implement the deal and blamed the international community for abandoning the country at this crucial time. However, deputy chairman of the SPLM-IO, Henry Odwor, has told VOA that the funds should be released from South Sudan’s oil production, which is currently in the process of being resumed to pre-civil war levels.